If you’re into stock trading and finances or at least have a TV, you’re familiar with the concept of cryptocurrency. It smells like future; it seems so convincing good. The noise around cryptocurrencies grows awareness about them even among the people who are far away from the investment sphere. Rise and drop rate, new currencies and exchanges, special trading software and strategies became frequently discussed topics even in non-financial media. Therefore, it is important to be critical to whatever information you consume. For instance, people have compared cryptocurrency to the financial pyramids that took place in the late 20th century. Yet, it is one of the most popular fallacies, and the reason is simple. These skeptics base their knowledge only on the tremendous volatility of cryptomarket and the absence of material representation. Such conclusions are popular among the people who tend to not understand the way blockchain and ICO work. 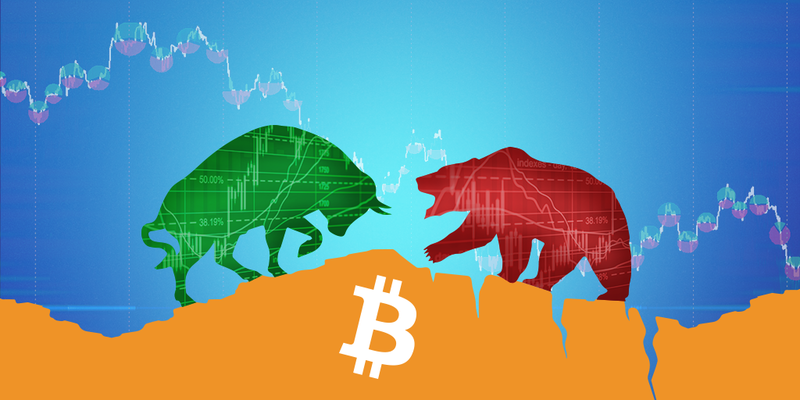 the cryptocurrency market volume is far behind the market volume of traditional currencies, and part of this volume’s capitalization is taken by Bitcoin. Also, some of the world’s largest derivative marketplaces represent cryptocurrency as a tender value. For example, the CME group. The fact that the most powerful players are working with cryptocurrency is an excellent indicator to believe that the game is real. On the other hand, the decision to go deep into crypto trading means a lot of responsibility and should not be decided impulsively. — Charles Marino says on Quora. Impressing, huh? So, what’s that good about Bitcoin and other cryptocurrencies? Keep in mind that operating the cryptocurrency is quite different from traditional financial instruments. There is no central authority that is capable of managing almost all modern cryptocurrencies. No banks, no brokers, no government. The currency is managed by the network, guided by the rules of the blockchain technology on a client-to-client basis. Of course, sometimes even cryptocurrency could be regulated by government or private entity, like Ripple. But there is still much more freedom in it, than in traditional currencies. Cryptocurrency follows no rules of exchange rates, transaction rules, and geographical aspects. All the operations can be performed the same way at any point of the globe. This eases international transactions and simplifies financial analytics. Less paperwork and routine, more actual trading. As an example, we know for sure that the number of BTC that can be produced is strictly limited (21m). 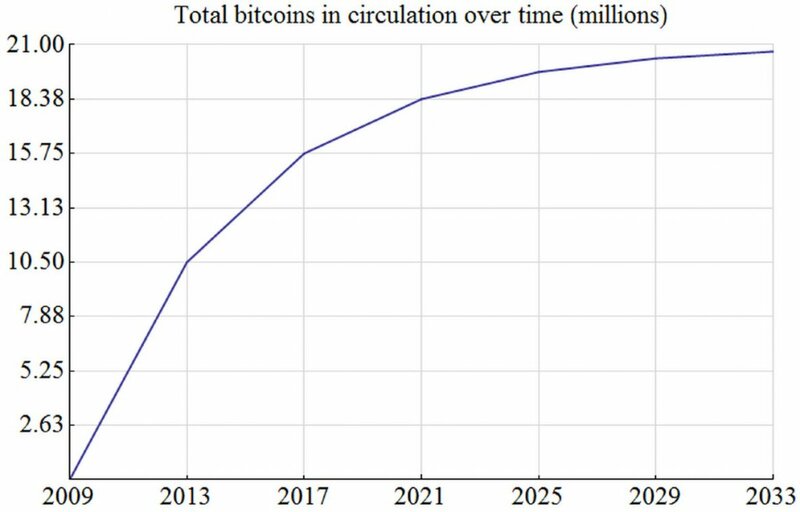 We can monitor the current total number of BTC in circulation (16,7m for the beginning of 2018). Get all the statistics on it here. Cryptocurrency trading requires no credit card details or passport data. Everything belongs to the account holder, and he/she is the only one who decides how to operate the assets. No need to reveal your identity for any financial operations, including converting cryptocurrency into real-world money or so-called “fiat”. As it was mentioned earlier, the crypto market is volatile like a heart rate after jogging. Constant moving, fast growth and falls open up really wide abilities to implement trading strategies fast. Most importantly, the taste of a quick return seduces a day trader to choose this emerging market. The crypto trader can test and analyze different trading styles and automatic strategies a few times faster than in traditional trading. It is a matter of resources. Some top-notch trading software tools, like Bookmap, could be used for analytical and execution tasks. 10% of traders worldwide are either already involved or interested in cryptocurrency trading. This number is growing exponentially. Lots of participants are sharing their experience to prove the expertise and develop the community. All the changes are discussed and analyzed by a meaningful percent of involved traders. The interest in cryptocurrency inspired the wave of new trading media and trading software. There is a potential to boost the entire trading community. Both crypto and traditional. Despite their popularity, Bitcoin and Ethereum are believed to be the tip of an iceberg. New cryptocurrency hits the exchange regularly, and it opens up a kind of creative potential. Traders develop, test and analyze new algorithms and strategies in weeks. Doing the same on the traditional market would take years. If you have some experience in trading, you know that advantages of crypto trading are too good to be true without some decent drawbacks. Usually, advantages have the darker side that everyone should be aware of BEFORE entering the market. Currently, trading and investing in crypto is mostly about research, experiments, investigation, and learning in the first place. And only then goes the financial profit. Success in cryptocurrency trading requires opportunism, willing to invest resources, and being familiar with the following risks. Yup, you hear it again. One of the key advantages of cryptocurrency is one of its main hazards. The currency rate can equally grow AND fall severely in a matter of hours, not even days. Such thing as the Fear of Missing Out (FOMO) is more than real when we talk about investing in crypto. Every trader should realize all the possible financial losses, especially real within margin trading. Sudden rise or drop leads to hardly predictable changes in margins. It could embarrass even the most experienced trader. The stop loss shouldn’t be lower than the percentage of daily fluctuation, multiplied by 3. For example, if the currencies daily volatility is 3%, set the fluctuation, equal to 9% of it. Cryptocurrency is very novel and, thus, a really powerful financial instrument. That’s why it enters the sphere of interest of the world’s major players, including lawmakers. No government can control cryptocurrency operations. This fact is contrary to the interests of country’s administration. At the moment, USA, Russia, and few more countries are developing a set of rules about operating the cryptocurrency. Other countries, like China, prefer more radical decisions, such as banning any crypto related operations on its territory. Traders should keep in mind the possibility of a ban and have a plan for action in such case. Chinese investors moved their accounts to Japanese exchanges. That’s why they successfully continue being one of the most influential players on the market. Value and potential of cryptocurrency also push forward hacking technologies. Hackers stole from investors $50 million worth of cryptocurrency in 2016 only. Traders can consider carrying cryptocurrency in physical hardware wallets. In this case, there is a risk to lose it in a natural disaster or by accident. The cases of selling fake hardware wallets also took place. Besides, performing financial operations with no need to share any of personal or credit data with the world is a killing feature for the outlaw and even criminal elements. Frauds also use people’s unawareness and media noise of cryptocurrency sphere. The iconic case of such fraud happened in Russia, where some creative band of gypsies sold people plastic souvenir coins under the name of Bitcoin. People discuss this one often too. Some could find it more as an advantage because it can’t be stolen, frozen, and arrested traditionally. But it can be a serious mental trigger. People hesitate to invest meaningful sums of money into something that only exists on a digital level. Although this one is more about mining cryptocurrency, not trading or investing it, we should consider it. Creating cryptocurrency is a complex multi-channel process, that requires a lot of advanced hardware to work 24/7. Even when there is no need to print or craft it physically, imagine the cost of electricity, warehouse rent, and technical support. So, should I invest in the crypto? By most metrics, the iPhone was just a superior product. It was easier to use, did similar functions, and had one button which was amazing when compared to the blackberry. Blackberry’s stock price gradually fell, their market share plummeted, and suddenly the smartphone market exploded with producers like Samsung, Apple, and LG coming onto the scene. Pretty soon the Blackberry was more of an antique than anything. The Blackberry introduced the world to smartphones, but that doesn’t mean it was the best smartphone, once consumers started getting more options, Blackberry began to falter. Bitcoin is the same way; it isn’t the fastest processing cryptocurrency, it isn’t the most innovative, it isn’t the easiest to do business in, in essence, Bitcoin’s appeal is its widespread adoption, use, and investment. Once investors and individuals start looking into other cryptocurrencies, however, Bitcoin will probably do a blackberry and lose market share. In addition, things could go even faster with the non-material substances like cryptocurrency. During the creation of this article, Bitcoin used to rise and fall with the delta equal couple of thousand USD and more. A lot of traders grew their income by selling on the top, as well as a lot of them lost millions. Some people consider crypto trading like riding a roller coaster with no brakes. Others compare it to betting on LeBron James in a basketball game against your primary school’s basketball team. The only relevant conclusion about the topic is following: crypto trading is risky, but the potential is huge. The active crypto trader has equal chances of explosive growths and a total failure. Should you dive in? The answer is solid “yes,” if you’re ready for the aftermath. Columbus never knew where his journey would lead him. The Beatles were told to stop their career because no major musical producers believed in them. We know their place in the history now. Should you predict and bargain about the historical place of cryptocurrency trading? Or should you create the future yourself? You decide. Ready to review the hidden data of the market? Get your free Bookmap trial.